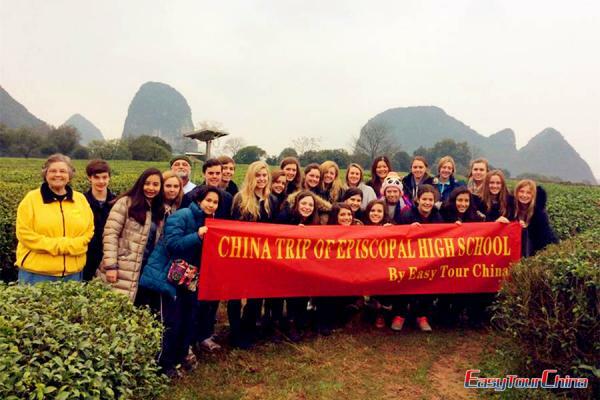 On this 7-day education tour, you will see and enjoy the best amazing scenery in Yunnan in varied ways. Biking around the erhai lake, hiking the spectacular tiger leaping gorges, see the local Bai people’s batik factory and walking though the peaceful street at Lijiang old town… And you will visit other highlights like Dali old town, Erhai Lake, Xizhou Old Town, Yan's Compound, Black Dragon Pool, Dongba Culture Museum, first bend of Yangtze, tiger leaping gorge. 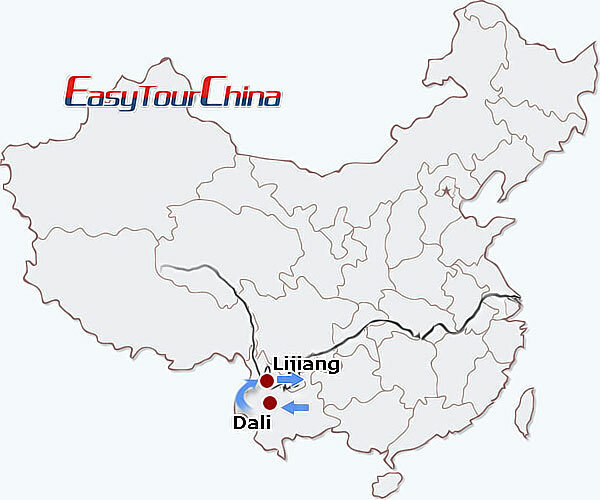 Arrive in Dali, you will be met by your local guide and transferred to the hotel. 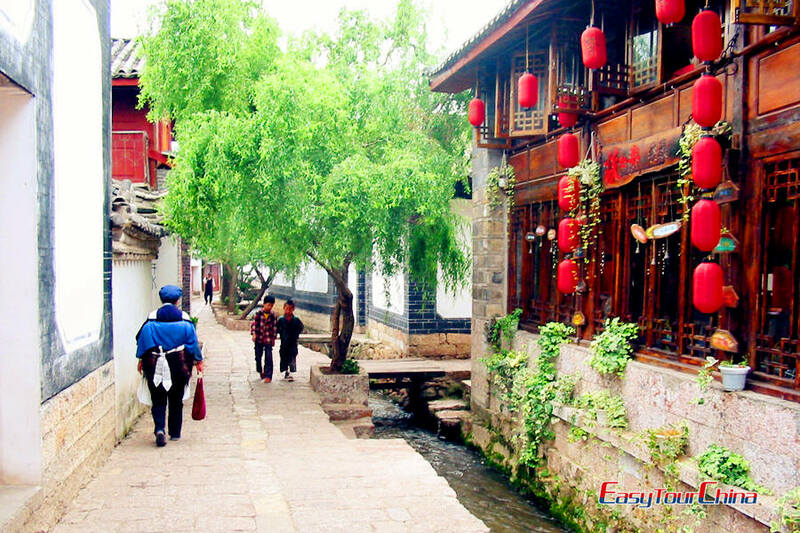 Then free time for your own exploration at Dali Ancient Town. The town's layout was uniform, with five main streets from south to north and eight main streets from east to west, while marketplaces were neatly arranged within the town, which has remained unchanged for centuries. 2 Day 2 Visit Xizhou Old Town, Longfeng Village, Bai ethnic village, etc. After breakfast, drive to Xizhou Old Town, visit the morning market of Xizhou, Yan's Compound of Bai ethnic minority, the batik workshop in Xizhou Old Village. Ride bike to Longfeng Village (4KM) at the bank of one of the seven biggest fresh water lakes in China, Erhai Lake. Then ride from Longfeng Village to Caicun Wharf (1KM). Start the Erhai Lake cruise tour from Caicun Wharf, arrive in Jinsuo Islet after half an hour cruise. Later, pay a visit to the Bai ethnic village in Jinsuo Islet. After breakfast, transfer to take train to Lijiang (2.5 hours), and explore the famous Lijiang Ancient Town, originally called Dayan, it is a very well preserved old town built by Naxi people with unique cultural background. It was listed as the World Cultural Heritage Sites in 1997. Go to Black Dragon Pool Park to enjoy stunning sightseeing there and appreciate the nice view of Jade Dragon Snow Mountain from it. Then proceed to visit Dongba Museum, which has more than 10000 Dongba cultural relics and various other historical relics and offers the "Dongba Culture Exhibition". Later, ride bike around 8KM to Baisha Village for the lunch. Visit a Naxi Family in the Village and Baisha Jinxiu Embroidery Institute--learn how to make the embroidery in the institute. Ride back to Lijiang. 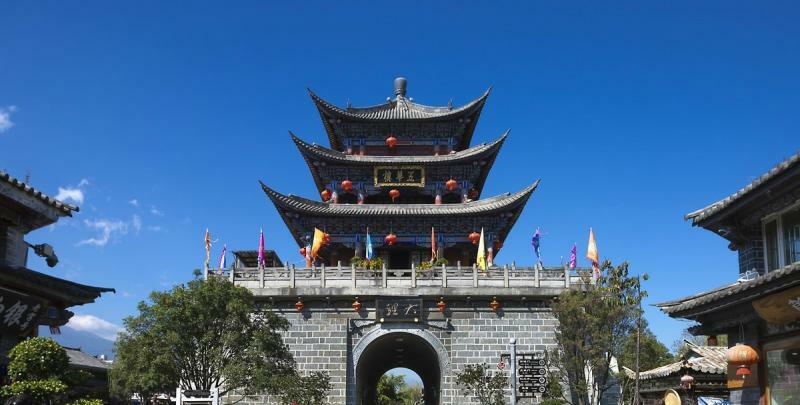 Drive 60KM to Shigu Ancient Town, named after a drum-shaped marble plaque, it was built in Ming Dynasty. Then visit the First Bend of Yangtze River, and Iron Chain Bridge. Drive to Qiaotou for lunch, after lunch visit the upper reach of Tiger Leaping Gorge, where the Yangtze River surges through one of the world's deepest gorges. Walk down to the Jinsha River to see the Tiger Leaping Rock. Drive to Tina's Hostel in the middle Tiger Leaping gorge. 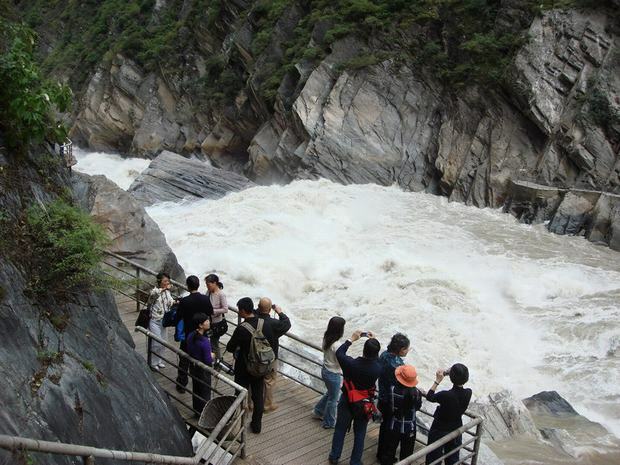 6 Day 6 Enjoy the great view of the Middle Tiger leaping Gorge, Pass the Bamboo Forest, etc. 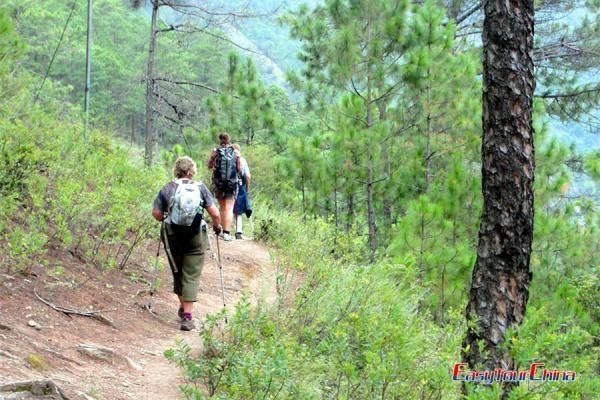 In the early morning, trek 2.5 hours up to Bendiwan Village, enjoy the great view of the Middle Tiger leaping Gorge between of Jade Dragon Snow Mountain and Haba Snow Mountain. Pass the Bamboo Forest, Guanyin Temple and Guanyin Waterfalls along the cliff. After a shot break in Halfway Hostel, trek down to the road, meet the driver, and then transfer to back to Lijiang. Transfer to Lijiang Airport and fly back home.